Nativity scenes depicting the baby Jesus nestled in a manger, surrounded by Joseph and Mary, the shepherds and the three wise men are prevalent throughout the Christmas season. However, many people don't realize a glaring problem with these scenes. After a closer examination of the Christmas story, some characters should not be present. Do you know who? 1. Are you familiar with the Christmas story, as told in Matthew 1:18-24 and Luke 2:1-21? 2. 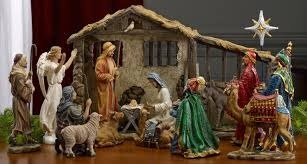 Do you have a nativity scene with figurines of the baby Jesus, his parents, the shepherds and the wise men? 3. If yes, do you have it set up already? 4. One small detail that is often overlooked in the Christmas story reveals that some of the typically depicted characters should not be in the nativity scene with the others. Do you know who that is? 5. Did you guess correctly? Matthew 2:1-12 explains that the Magi came from the east (a distant country) in search of the one born "king of the Jews". 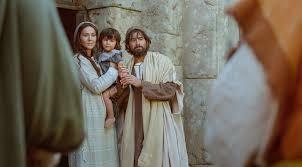 After arriving in Jerusalem, they met with King Herod and asked him where the child was. Herod was disturbed by this news and tried to trick the Magi into telling him where Jesus was when they learned this. Instead, after being warned by an angel not to return to Herod, they left by a different route after seeing the baby Jesus. Verse 16 explains that since he didn't find the baby to eliminate the threat of the foretold king, Herod ordered that all boys 2 years or younger were to be killed "in accordance with the time he had learned from the Magi". Did you know the Magi didn't arrive until over a year after Jesus was born? 6. Furthermore, in Matthew 2:11, we're told that the Magi followed the star that led them to a house, where they found "the child with his mother Mary". Did you know the Magi didn't actually come to the manger to see the baby Jesus? 7. And regarding how many Magi there were, 3 is the common perception, based on the three specific gifts that were mentioned - gold, frankincense and myrrh. 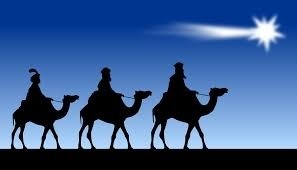 In reality, there were likely more than just 3 Magi who made the journey. To visit a "King of kings" there was most likely a delegation of at least 12 wise men, as was common for the times (according to biblestudy.org). Did you know there were most likely many more than just 3 Magi who came to visit Jesus? 8. When my kids were younger and helped set up the nativity, they were always careful to set the Magi in another part of the room, as if they were journeying from some distance away, since they most likely did not arrive until long after the night Jesus was born (as depicted in most Christmas nativities). Are you likely to re-arrange where the wise men are after learning this fact?